Social media advertising offers advertisers an audience bigger than anyone could imagine a generation ago. Facebook and Instagram’s more than 2 billion users represent the largest collection of prospective customers in the world (by far). So not using the platforms to show off your business is a serious mistake. This article dives into social media advertising, giving you 8 strategies to keep in mind if you want to turn social media users into customers. Paid search platforms like Google and Bing, differ from paid social platforms like Facebook and Instagram, and the primary difference is one of intent. While Google users have high purchase intent (as they’re using Google to find brands that they want to purchase from), Facebook users only visit its platform to socialize. Takeaway: Make sure your ad sounds conversational, not salesy. If the ad began with the imperative “Tickets currently on sale. Hurry and buy now!” it would put off users because, again, they’re not on Facebook to look at ads and buy from businesses. They’re there to talk to friends and family. As much as you can, sound like a friend and not a salesperson. Several studies have shown that videos attract more attention than static creatives. According to a recent Facebook study, people gaze five times longer at videos than at photos on both Facebook and Instagram. That’s great news for video advertisers. Currently, advertisers have two seconds—two seconds—to stop a user mid-scroll. Those extra 8 seconds make a difference. Fortunately, you have a bunch of options if you want to create video ads. First, there’s YouTube ads, which can appear before and during a video. 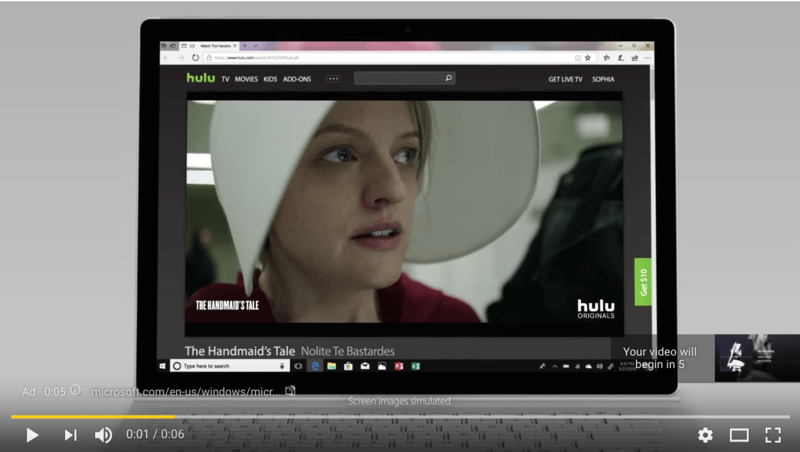 You can buy 3-second unskippable ads that appear before a video plays or a longer, in-stream skippable ad that typically appears during the video. If YouTube doesn’t interest you, you can also advertise on Facebook using Single Video ad format or Canvas format. Because Facebook owns Instagram, you can also easily advertise on the latter social media app using the rapidly growing Instagram Stories ad format. If you want to stand out on a feed, if you want to attract attention, if you want to stop users mid-scroll, consider investing in video. It’s currently the hottest trend. Most people visit social media platforms on their smartphones, all thanks to the advent of mobile apps. So it should go without saying that it’s important you optimize all of your ads for mobile. Turn your horizontal video ads to vertical video ads. Add captions in video ads because most people view videos on their phones with sound off. Make your image ads bright and colorful so they can stand out against a cluttered mobile newsfeed. Instagram Stories first erupted into the scene as competition with Snap Inc. for refusing to sell its app, Snapchat, to Facebook. As the Stories feature grew in popularity, Instagram launched Stories Ads, 15-second vertical video ads that appear between people’s Stories. Now, according to Facebook, Stories is the fastest growing product in Facebook history. Because more people are using Stories, it’s a no-brainer to advertise there. The larger the audience in Stories, the greater the possibility for business growth. Facebook also stated that people on Instagram often engage with businesses. Currently, one-third of the most viewed Stories come from businesses. And, as Facebook found, businesses love Stories. Fifty percent of businesses create Instagram Stories in a typical month. It’s time to join that 50 percent. Before social media advertising, customers couldn’t directly comment on an ad. 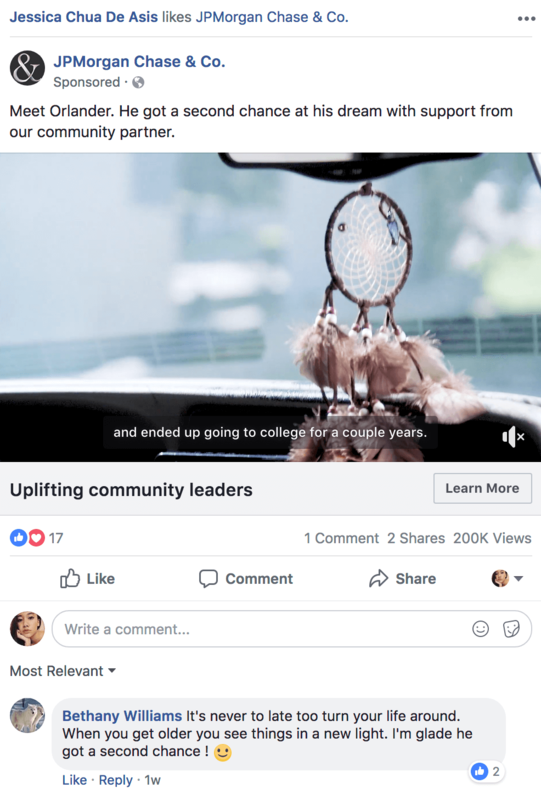 But with social media ads, customers can now directly make comments right underneath the ad. Giving people the power to do such a thing is a double-edged sword. On the one hand, it gives advertisers the opportunity to listen to critiques and adjust their strategies accordingly. On the other hand, it gives angry customers a very public platform to voice their complaints. To manipulate ads’ comments section to your advantage, as best you can, respond to every negative comment. This shows customers that you are eager to deliver the best customer service. Besides, it looks better to address an issue instead of ignoring it completely. 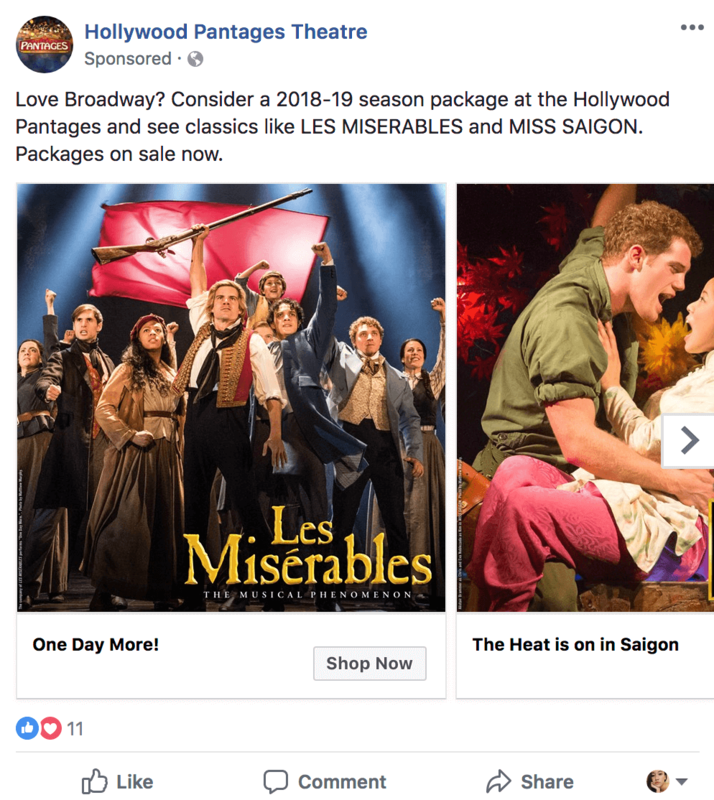 Working in an advertising agency, our Facebook representative, who advises us in our campaigns, often tell us to refresh our ads every two weeks. And there’s a practical reason behind it: it helps combat ad fatigue. Unless you want your audience to ignore or fail to notice your repetitive ad, refresh your ads every two weeks to keep your audience interested. You can do something small like changing your text copy or something big like creating a different video with a different concept. However, don’t refresh all of your creatives if you don’t have to. Refresh the ads with high frequency but low conversions and leave the well-performing ads as is. If it ain’t broke and you get good returns out of it, why fix it? There is no one solution to creating the best ad. In fact, one solution may work for one person but not for another. Finding the best strategy requires constant A/B testing. For example, testing two ads with two different copies, images, or ad formats. 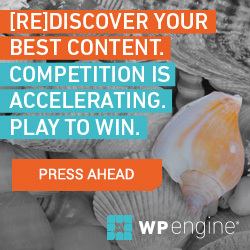 Once you find the ad that outperforms the others, run it until the performance drops. Once it does, refresh the creative and try again. Often, the person who sees your ad won’t purchase at that very moment. In fact, they might see your ad, shrug, and continue scrolling through their feeds. However, they might convert after the second, third, or fourth try. For that reason, it’s important to retarget people who clicked on your ad but did not do your desired action; for example, people clicked on your ad to visit your product catalog but did not purchase the shoes advertised as you hoped they would. Don’t be afraid to retarget these people. If they’re clicking on your ad, they’re obviously interested—they just need a little push. When advertising on social media platforms such as Facebook or Instagram, remember they are not the same as the platforms Google and Bing. Because social advertising audiences have low purchase intent unlike paid search audiences, it’s important to use different strategies. Above all, to be the best advertiser that you can be, stay curious and well-informed—never stop learning. 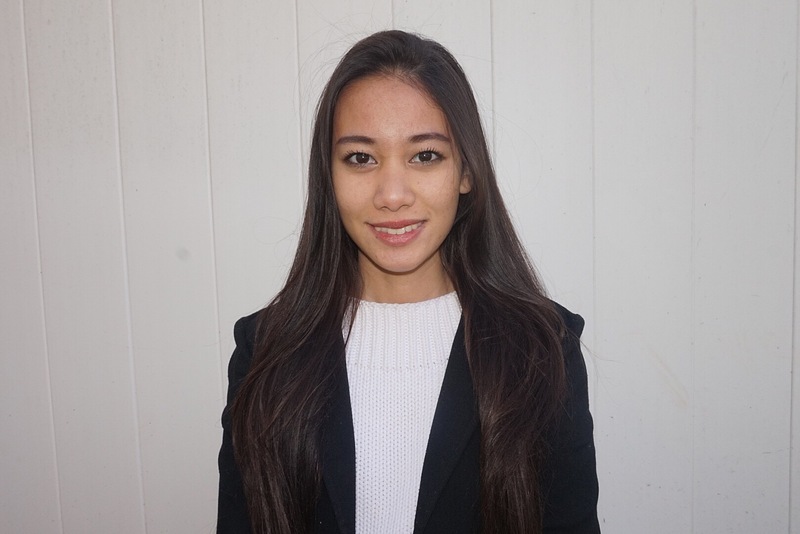 Anne Felicitas is the blog editor at AdvertiseMint, a Facebook advertising agency. In her spare time she likes to write poetry, binge watch shows on Netflix, and bond with her roommate’s cat.